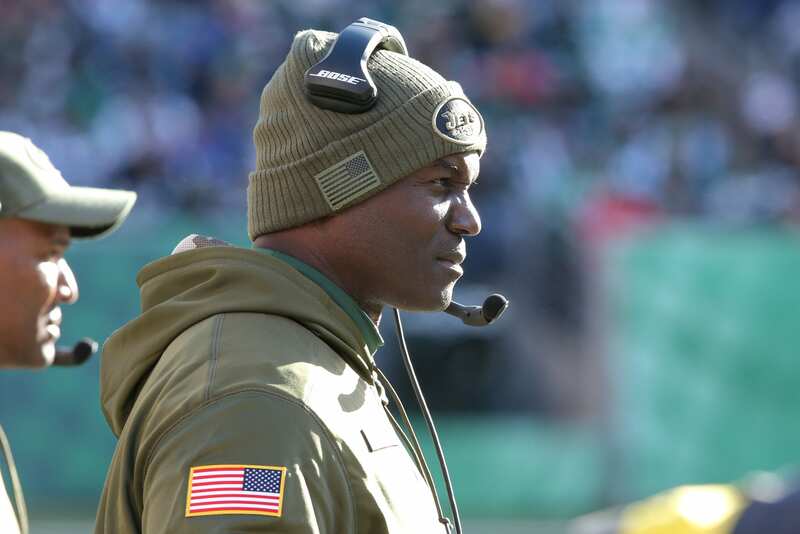 Todd Bowles has been on the hot seat this season, and for good reason. The New York Jets are 3-8 and the Messiah at quarterback has been walking around practice in a boot for the past few weeks. A good head coach will always take the blame for a team’s failures, and is credited when the team has success. Unfortunately for Bowles, with a record of 23-36 as coach of the Jets, he deserves a lot of blame. Despite his lack of success, Todd Bowles should not be fired. Not immediately, anyway. The Jets should whether the storm with Bowles for the rest of the season. I am never a fan of changing head coaches in the middle of the season, excluding egregious cases e.g. the Cleveland Browns. It leaves the organization lacking leadership and rarely does it do much to improve the overall trajectory of the season. While Bowles is supposed to be a great defensive mind, the results on the field are nowhere to be found. The Jets are currently allowing the 19th most points-per-game, and 21st most yards-per-game this season. With all of the first-round picks and millions of dollars spent on that side of the ball, those statistics are unacceptable. So Why Not Fire Him Now? The case for keeping Bowles until December 31st is simple. Who are you going to replace him with in the interim? Unfortunately, the way the league works amounts to the necessity of promoting from within. While the league is suited for offensive minded head coaches to have success, Jeremy Bates is not up to the job. Did those defensive rankings sound bad? Well the offensive rankings are worse. The Jets are 26th in points-scored and 29th in yards-per-game. They are 29th in passing yards, and 22nd in rushing yards. We can attribute the lack of yards through the air to the combination of a rookie and journeyman at quarterback. The lack of a rushing attack is unexplainable. Yes, Bilal Powell went down with a gruesome injury in week 7. However, Elijah McGuire has shown promise and Isaiah Crowell has been a consistently productive back for the last several years. What Should the Jets Do? Clean house on black Monday and let Maccagnan bring in his own offensively-minded guy to develop Sam Darnold. They can always hire Bowles or even Rex Ryan back as defensive coordinator. There are not that many Sean McVay’s or Kyle Shanahan’s out there. The Jets need to find a coach that can effectively run an offense, and develop the young talent they have on both sides of the ball.